Our initial consultation with an attorney fee for new matters is $100.00. 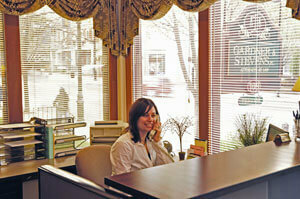 Personal Injury consultations are free. Please call or email us for an appointment. Hours are from 8:00 a.m. to 5:00 p.m. Monday through Friday and evening hours until 8:00 p.m. on Monday and Thursday. The information contained herein is general in nature and should not be understood as a substitute for personal legal advice. A client-lawyer relationship has not been formed by simply viewing this website or contacting our firm for additional information. 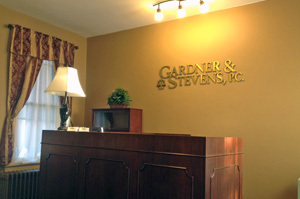 Please schedule an appointment with one of our attorneys to discuss the specifics of your individual case. "Our attorneys in Ephrata, PA handle legal matters ranging from general practice to personal injury, family law, and estate practice in Lancaster County, PA."
"Our attorneys in Lititz, PA handle legal matters ranging from general practice to personal injury, family law, and estate practice in Lancaster County, PA."
From Lancaster – Follow Route 222 N to the Ephrata exit, proceed West on Route 322 (Main Street) 1.5 miles to 109 West Main Street, Ephrata. From Reading – Follow Route 222 S to the Ephrata exit, proceed West on Route 322 (Main Street) 1.5 miles to 109 West Main Street, Ephrata. From Harrisburg – Follow Route 283 E to Route 30 E to Route 222 N to the Ephrata exit, proceed West on Route 322 (Main Street) 1.5 miles to 109 West Main Street, Ephrata. From York – Follow Route 30 E to Route 222 N to the Ephrata exit, proceed West on Route 322 (Main Street) 1.5 miles to 109 West Main Street, Ephrata. From Lebanon – Follow Route 72 S to Route 322 E to Ephrata. Proceed East on Route 322 (Main Street) to 109 West Main Street, Ephrata. From Philadelphia – Follow PA Turnpike W to Exit 286 (Reading). Proceed South on Route 222 to Ephrata exit, proceed West on Route 322 (Main Street) 1.5 miles to 109 West Main Street, Ephrata.